No business was left untouched—each one had experienced at least one cyber attack. Only one-quarter of companies surveyed had not experienced threats from a network-connected jailbroken device. Hackers use mobile devices to gain access to sensitive business documents and to initiate multi-vector attacks on business networks and computers. Mobile device attacks now exceed attacks on PCs in number. As hackers continue to use mobile devices as a backdoor to networks and millions of confidential documents, it may seem as if there's nothing you can do to stop the threat. Fortunately, that's not the case. 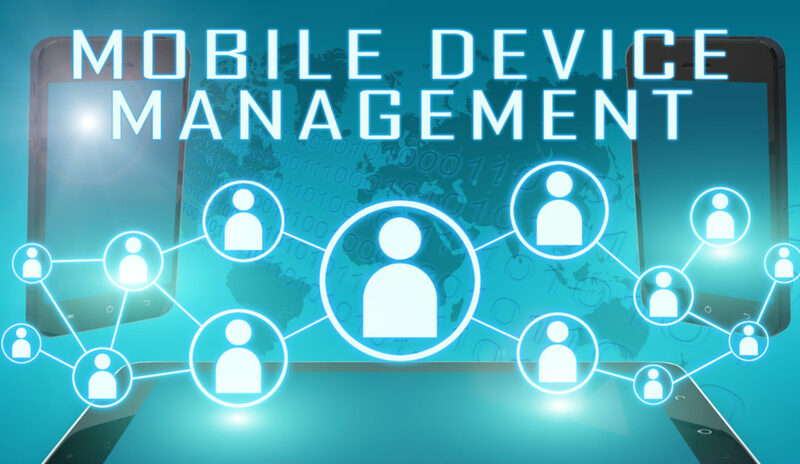 A mobile device management solution (MDM) from Function4 is comprised of a four-step process that reduces the risks associated with both COPE (Corporate-Owned, Personally Enabled) and BYOD (Bring Your Own Device) approaches. Here's what your company can expect from a mobile device management solution from Function4. Deploy. Whatever your company strategy (COPE or BYOD), Function4's mobile device management solution can help you manage the iOS, Android, and Windows mobile devices used by your employees. Enable. Give your employees the tools they need to securely access data from any location, at any time of day. Reinforce. When your COPE or BYOD employees leave the office, so does your sensitive data. Mobile device management apps ensure that employees can access confidential documents without compromising company security policies. Ensure. Most mobile workers combine personal and company data on the same mobile device. Keeping data separate is critical for both company and employee privacy. To find out how a mobile device management solution and IT security audit from Function4 can protect your organization from attack, contact us today!